One of the greatest blessings bestowed upon errant fumbling slaves like us all is Allah’s promise of forgiveness which comes from His all-encompassing, inexhaustible mercy. In the very first verse of the Quran at the beginning of Surah Fateha, we are told of two of the primary attributes of Allah: Ar Rahman and Ar Raheem. Although both have the same root of ‘rahm’ that bears the connotation of the mother’s womb and hence signifies tenderness, care, protection, nourishment, gentleness and ‘the love of seventy mothers and more…’ ; yet there are some important distinctions . ‘Ar Rahman’ means the One with the Highest, the most Extreme, Intense and Infinite Mercy. 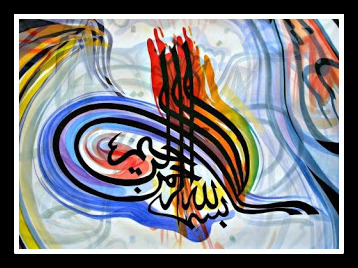 ‘Ar Raheem’ on the other hand, means the One whose Mercy is constant, endless, undimmed, ceaseless and eternal. Allah alone combines both these attributes to the degree of perfection_ He is Extremely Merciful, consistently. `He who comes closer to Me one span, I come closer to him a cubit; and he who comes closer to Me a cubit, I come closer to him a fathom; and if he comes to Me walking, I come to him running”. [Al-Bukhari and Muslim]. Forgiveness is the most beautiful aspect of Allah’s Mercy, and we all stand in greatest need of it. The promise of His Mercy even as we sin repeatedly comes as a cool draught in a day of heat and thirst; a healing, comfort and a soft balm on a wounded, sinned-against soul; a beacon of light at the end of a long dark tunnel. Alhamdulillah. For, where would we be without it? The Quran demonstrates a deep and insightful understanding and appreciation of psychology with all its vicissitudes. Allah knows our innate propensity for sin . Allah knows we are forgetful by our very natures. He knows we are liable to err and fall into sin, as was illustrated by the first sin of Adam (A.S). Just as Adam (A.S) was given hope of forgiveness through Allah’s Grace and Mercy, so are we blessed and delivered out of darkness and sin through His Mercy that lies in wait for us, and welcomes us with open arms, only if we relent, feel the twinge of guilt and remorse, realize our mistake and regret it. Abu Hurairah (May Allah be pleased with him) reported: Messenger of Allah (PBUH) said, “Allah says: `I am just as My slave thinks of Me when he remembers Me.’ By Allah! Allah is more pleased with the repentance of His slave than one of you who unexpectedly finds in the desert his lost camel. `He who comes closer to Me one span, I come closer to him a cubit; and he who comes closer to Me a cubit, I come closer to him a fathom; and if he comes to Me walking, I come to him running”.